Home > Pray, Play, and Learn! What We Do in Lent: A Child’s Activity Book, by Anne E. Kitch. Designed to help children 4-7 and their families learn about the seasons of Lent and Easter. Includes family Lenten devotionals, mazes, connect-the-dots, other activities, and a 4-page parent guide. Bring Lent to Life: Activities and Reflections for Your Family, by Katherine M. Basi (Liguori Publications 2011). Don’t just give something up for Lent! Gather your family, and with Kate Basi’s fresh ideas, you will bring Lent to life! Crafts, family outings, recipes, and other activities help reveal the meaning of Lent. Available as a paperback or e-book. Catholic Icing Lenten Activities for Children, by Lacy Rabideau. This fabulous blog is packed with extremely creative ideas for helping kids understand and participate in Lent and Easter—everything from a pretzel recipe (Did you know pretzels are traditional for Lent?) to a downloadable book about Holy Week for kids to illustrate with handprints. Written from a Roman Catholic perspective but easily adaptable for Anglicans. A Family Journey with Jesus through Lent: Prayers and Activities for Each Day, by Angela M. Burrin (A Word Among Us Press 2004). Provides a format for family prayer for each day of Lent with stories narrated by Hebrew children of Jesus’ day. 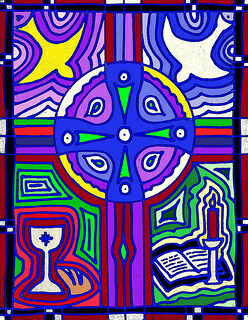 Suggestions for Lenten and Holy Week activities are also featured, along with original artwork. For ages 3 and up.